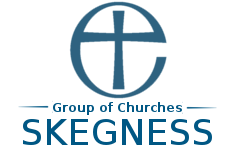 Our churches in The Skegness Group of Parishes partners with Acts 435. We have helped 26 people throughout the last 14 months through their crowd-funding resource. People in desperate need have been provided clothes, bedding, electric tokens, temporary accommodation, sleeping bags and tents for homeless and much more. On Wednesday 7 November York-based project, Acts 435 received the gold award in the Best Replicable Project category at the Christian Funders’ Forum Awards at Mercers’ Hall in London. The awards showcased powerful initiatives that have been at work in communities through the UK and demonstrate how faith groups contribute at least £3 billion worth of social and welfare support to the UK every year, helping 48 million in the process. The project fought off stiff competition at the annual awards which celebrates the great work done by grassroots organisations across the UK. Acts 435 is a simple concept that connects people in need with those that have the resources to help. Advocates from local churches identify a person who has a genuine financial need, such as the inability to buy a school uniform; this need is then posted onto Acts 435’s crowd funding website where people can make donations to the needs listed. Jenny was accompanied by church advocate, Aileen Garden, from Holy Trinity Church in Brixton who said: "So many people have been blessed by small gifts received from donors and it is a joy to see lives improved. Acts 435 really works! It is a simple process with minimum administration. Do join us!" As budget cuts continue to place added strain on local authorities, health services and police forces, churches and Christian charities are responding by providing innovative solutions to problems at the heart of our communities. Each year members of the Christian Funders Forum give over £30 million to Christian mission both in the UK and overseas. Some of the most innovative projects funded by the member organisations over the past year were recognised at the awards ceremony in London on 7 November.